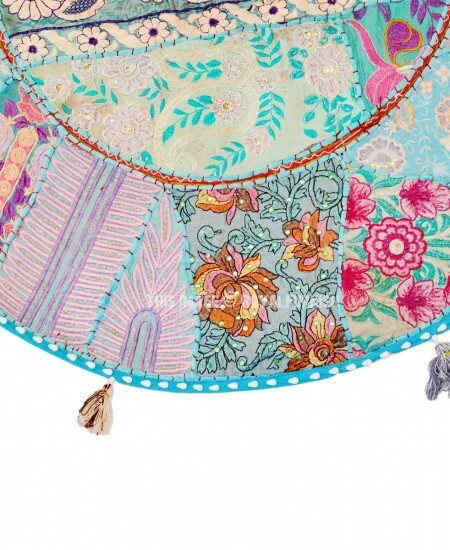 A bunch of floor pillows is a great way to add some charm and coziness to your interior. 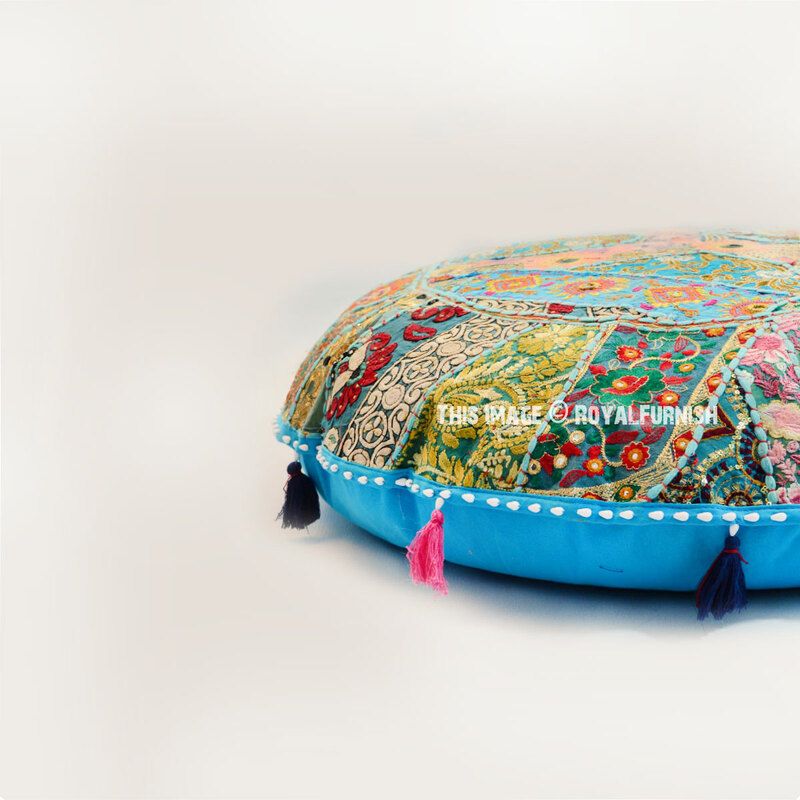 These Floor pillows are perfect for a small party, unexpected guests, yoga, meditation and very comfy to sit on. 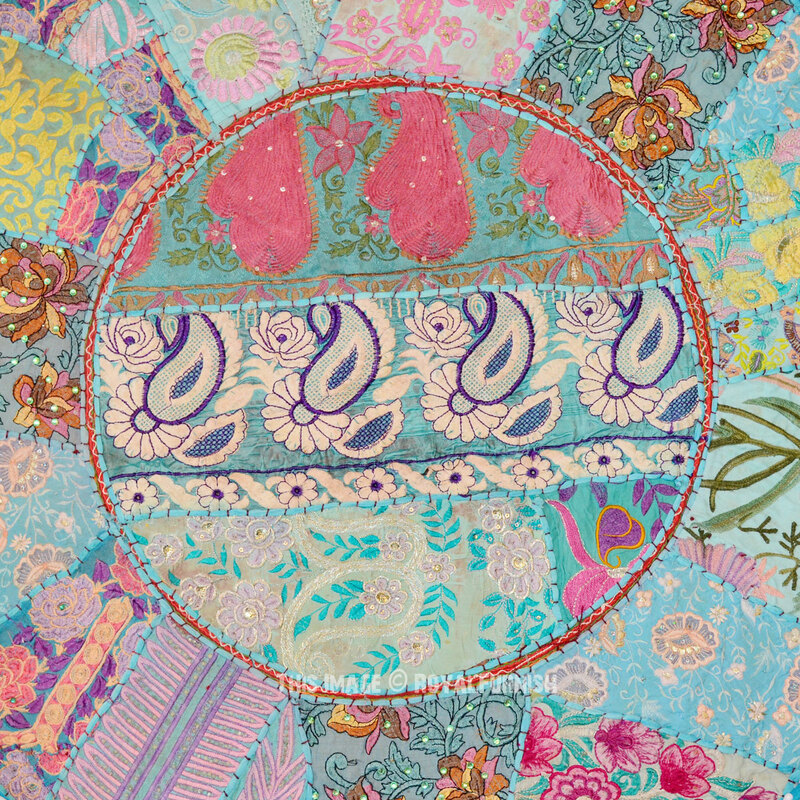 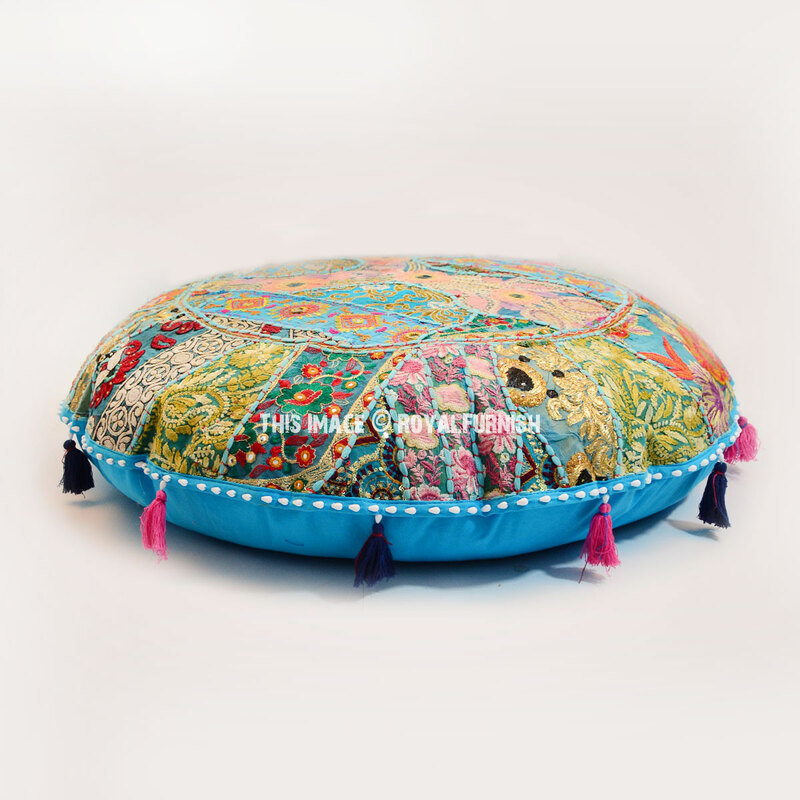 Made of multicolored recycled fabrics & cloths with Indian patchwork art. 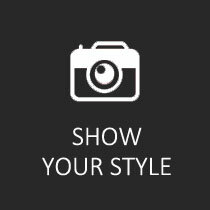 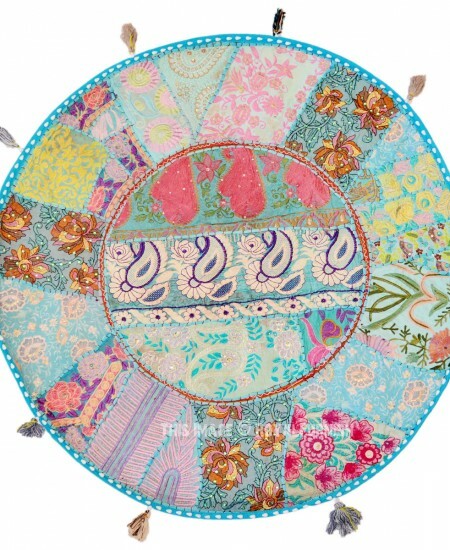 The perfect piece of art add some color and comfort to any room. 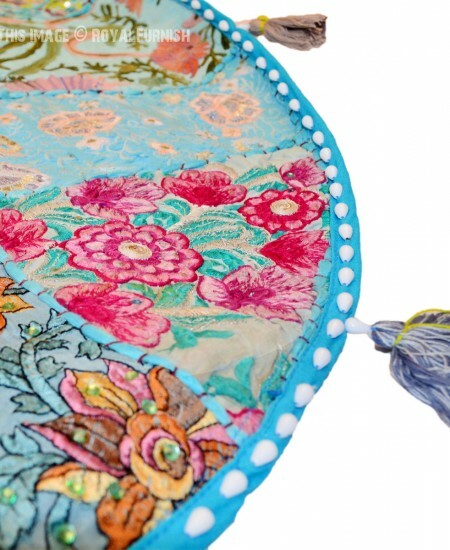 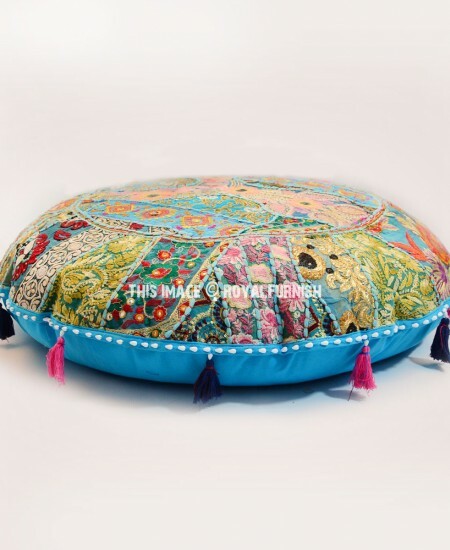 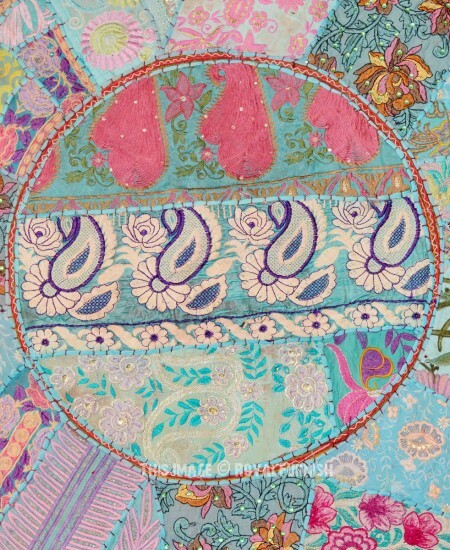 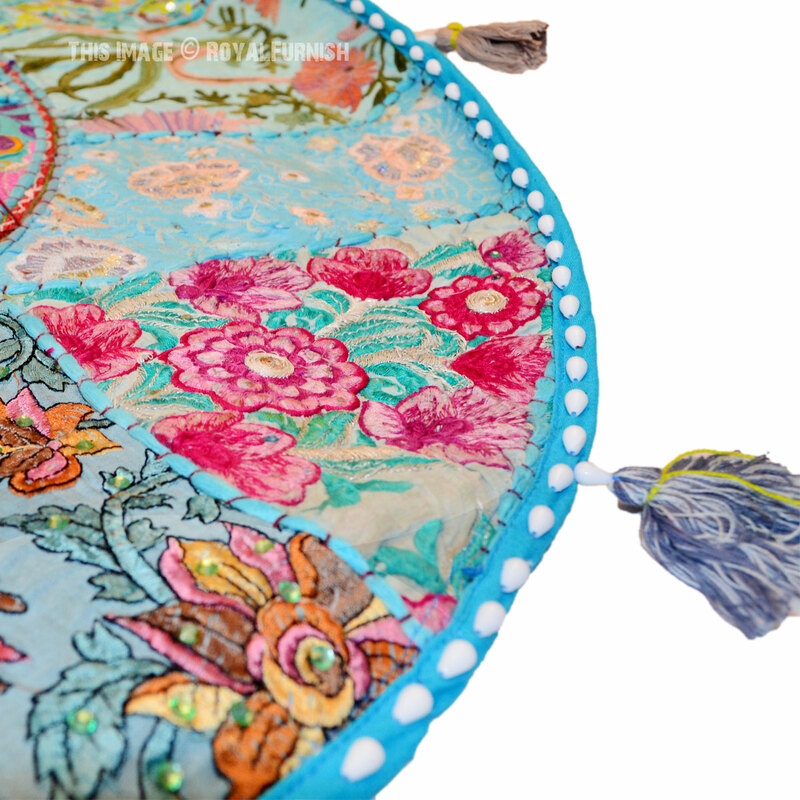 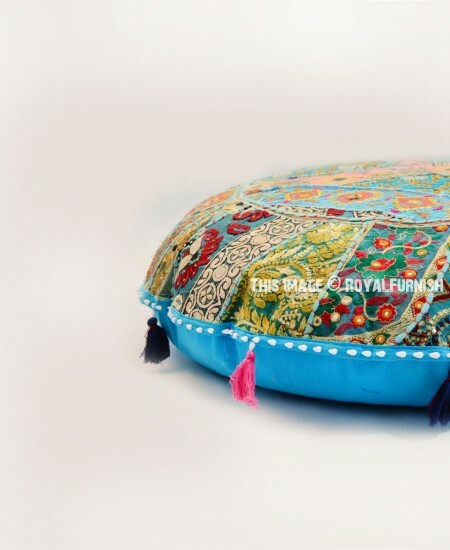 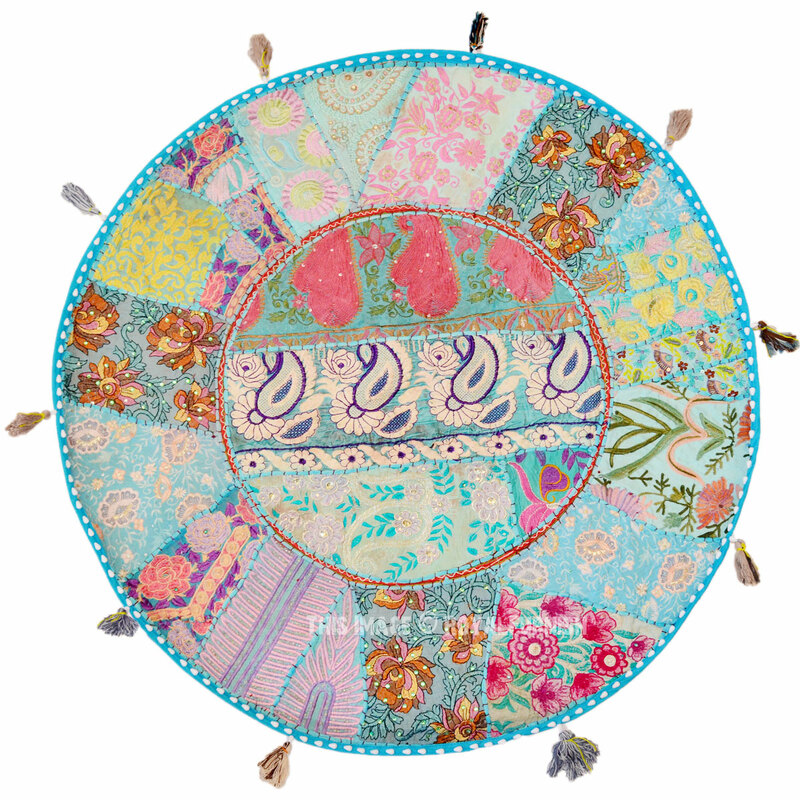 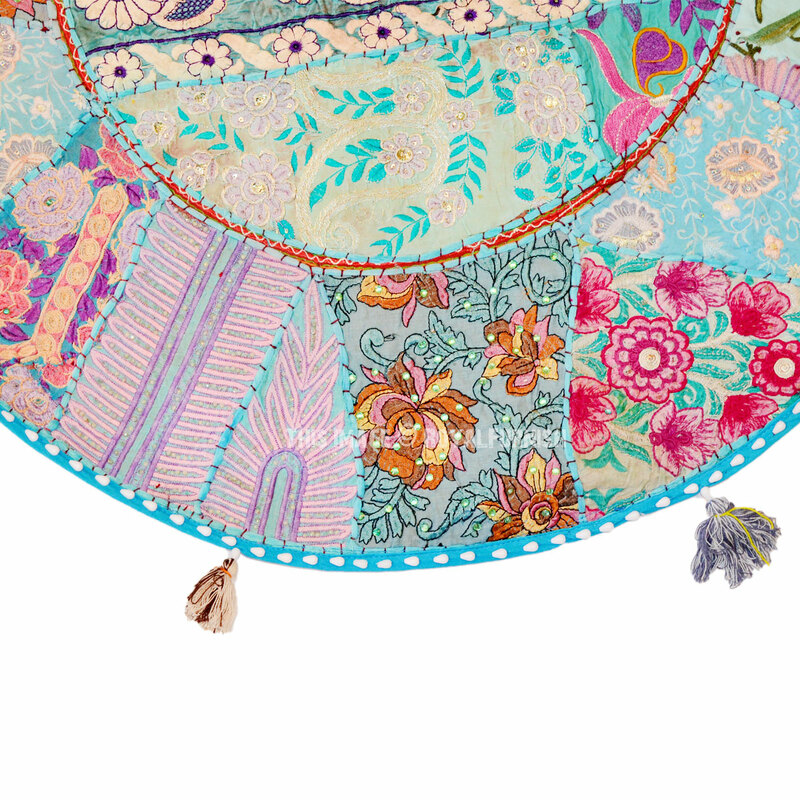 Large 32" Turquoise Blue Colorful Round Yoga Meditation Floor Cushion Cover added to the cart!